When I was invited to speak at Instituto Tecnológico y de Estudios Superiores de Monterrey (ITESM), I wasn’t sure what to expect. 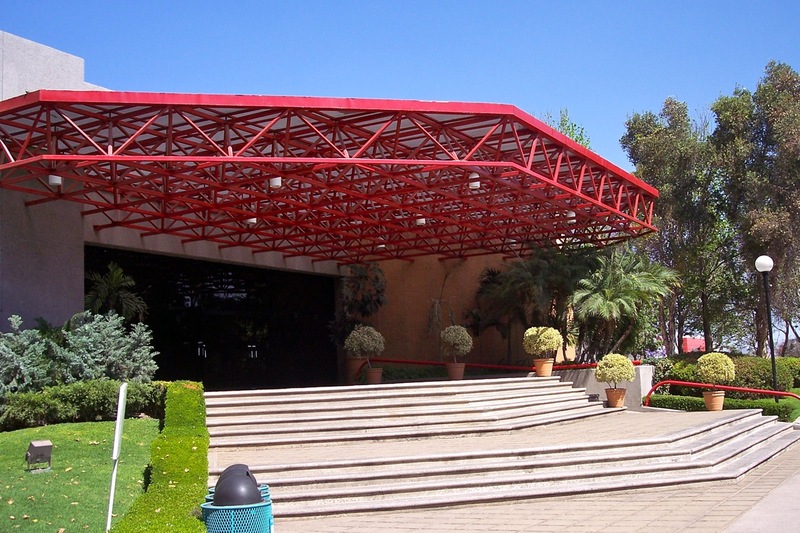 I knew the Guadalajara campus is the 2nd largest of the largest technical university in Mexico and they offer multimedia, technical/engineering and business programs. 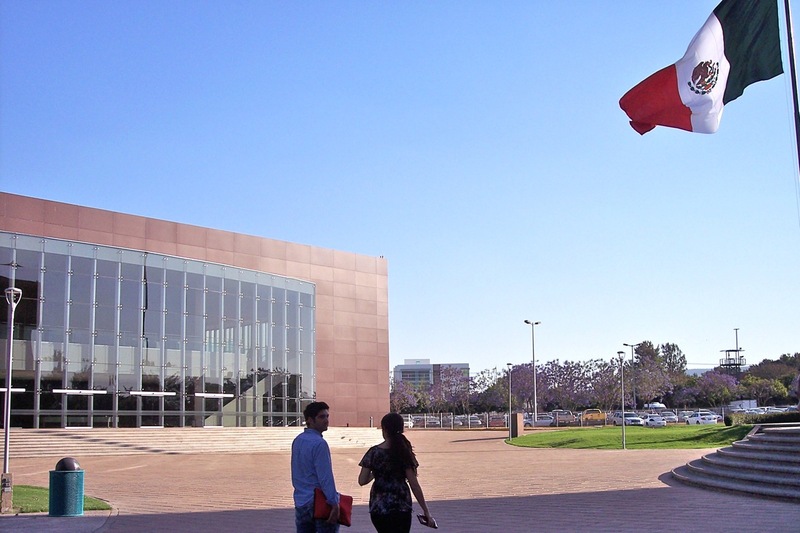 So I expected a large, fairly modern campus with bright students, but I had no idea how the facilities and faculty would compare with schools in Canada and the USA. After spending two days on the campus and talking with the students and the professors, I went home impressed with what I saw. Before my presentation, Gerardo Salinas, Director of Digital Arts Department, gave us a tour of the digital arts building (pictured at left). They have a full optical motion capture studio, a state-of-the-art multimedia Mac lab, stop-motion animation lab, an audio recording studio my Audio Director has been dreaming about, and a green screen studio where they proudly filmed a music video for a local pop group the day before our visit. The next day I visited several other classrooms in another building, which were also well-equipped PC computer labs. ITESM has been building a Bachelor of Arts: Animation and Digital Arts program, the first students of which will be graduating in the next few months. It’s a unique program that aims to graduate technical artists for careers in the video game and movie industries. The university has been working closely with the local industries to develop the program and our visit was an opportunity to ask for outside feedback on the program. I brought my experience from working in the video games industry in both Vancouver and Montreal and Derrek brought his curriculum review and games industry relations experience from his time at the University of British Columbia. The program is well thought out: it covers art, design and programming fundamentals and gives the students hands-on experience with Maya, Unity 3D and UDK. Once they work in some Photoshop experience in a couple of courses, the program will completely prepare students for a variety of technical art careers. The entire faculty has at least one Masters degree, some are also from local industry and all are passionate about what they do. The best part of my two days on campus was visiting five different classes and talking with the students in a casual Q & A format. Most of the students were at various points of the Animation and Digital Arts program. I loved the energy and engagement from the students! Questions ranged from “I want to be an animator so why do I have to study programming?” to “Why are we learning ActionScript 3?” to “What do technical artists do in the companies you have worked in?” to “What are the biggest trends in the game industry?” One of my favorite questions was about whether we have any divas on our teams and how to handle people who insist on special attention. In almost every class I was asked whether there were any Mexicans working in the game industry in Canada (there are) and whether it is necessary to leave Mexico to have a career. The brain drain to the USA is a familiar issue in Canada, so my advice was to first gain experience in Mexico – it’s required for immigration anyway. If an opportunity comes up in the US, then it’s a personal decision. At this point, the job market in the US is still not great, while the industry in Mexico and in other countries around the world is young and growing. Who knows where opportunity will come from? My visit wrapped up with a short visit to one of the newest buildings on campus, which is specifically for technology businesses who want to work closely with the university and have access to the student talent. The facility was impressive and one of the companies we visited was doing leading edge multimedia work. Some universities in Canada have a reputation of being academic ivory towers, so I really liked to see such progressive companies work so closely with a predominantly teaching university.